An action-packed urban fantasy adventure with bite! James Halmorris has a cursed name. He doesn't believe the rumours until he travels to Ireland to find his roots, finding a whole new world of witches and vampires instead. 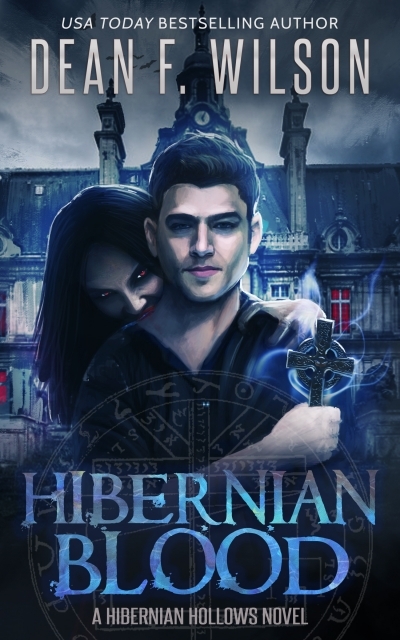 He has entered the Hibernian Hollows. He arrives right at the point where five vampire families are readying to fight a war for the vampire thrones of the Emerald Isle. James is forced to cast off his doubt and fear and step into the bloody ring. He's supposed to be the peace-keeper, but if he can't stop the battle, he'll have to join the war.